I don’t remember the first time I met Ralph Offredo, but most likely it was at the Bucks County Kite Day run by Bernice and Olan Turner. 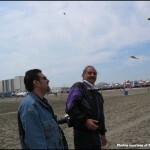 The Turners were responsible for creating kiting interest for a lot of people. At the time, I was running the Meadow Mouse Kite Shop, and Ralph, along with his friend Arlene Anderson got the sport kite bug. I remember Ralph and Arlene looking over sport kites, and shortly after there was the Aroara Sport Kite. Arlene sewed the sails and Ralph did the assembly. 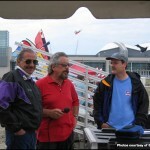 In no time, they were flying with Frank Loundenslagger as the Aroara Kite Team. Sport kite mania was stealing the day, and Ralph was a great enthusiast and quick to learn. 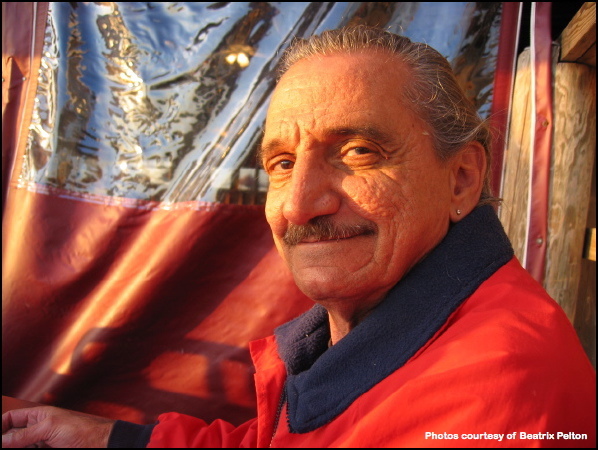 When Ralph and Arlene dissolved their partnership, Ralph moved to Morrisville up the street from our kite shop. Ralph became a fixture in the shop, and before long was assembling his new Hawq Sport Kites in the back room. To this day I can hear Ralph’s voice booming hellos to everyone announcing his arrival. 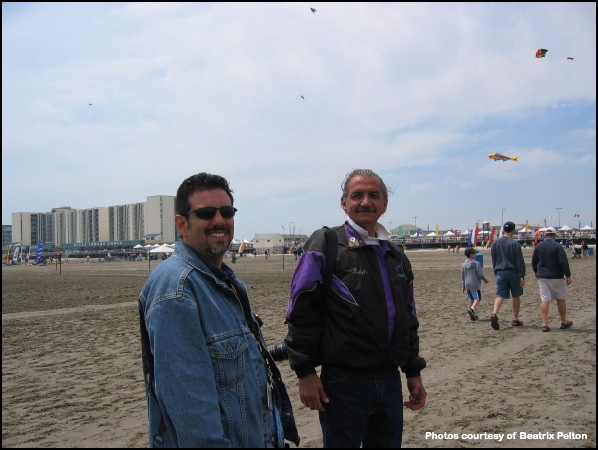 Ralph constantly worked on designs and modifications on his kites and soon after, Team Hawq was on the competition field. Ralph had recruited Bob Hanson and Chuck Walker to make up his team. As great individual flyers, the team had an awesome potential. But alas, as sport kite teams go, the team did not stay together long. But Ralph made his greatest mark not as a flyer, or as a kite maker. His best known talents were on the microphone. 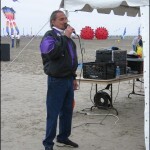 A regular fixture on the Sky Festivals production team, Ralph’s announcing first became known at the East Coast Stunt Kite Championships in Wildwood, then at the Mid Atlantic Stunt Kite Championships in Ocean City, MD and the Philadelphia Kite Festival. Ralph went on to become the voice of the Eastern League, announcing in events in Miami, New York, Sandy Hook, NJ and Jekyll Island, GA. 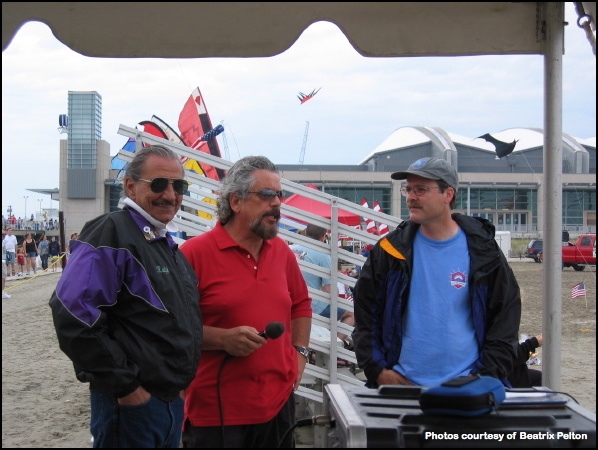 He announced with Robert Hawkins at Klig’s event – the dualing hawks on the mike. He announced with Dennis Smith, Tom Mason, Ron Gibian and Paul Reynolds. If you worked a mike on the east coast, you probably worked it with Ralph. 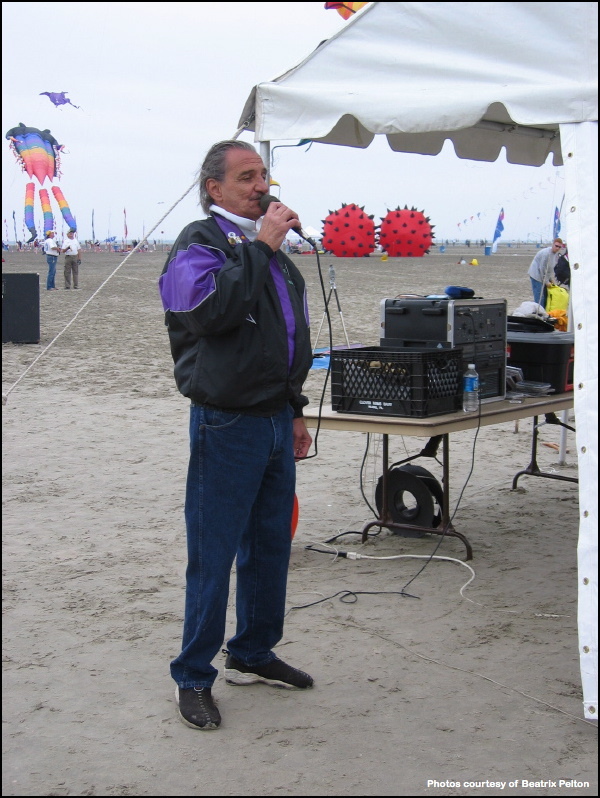 It was during the early days of sport kite competitions that Ralph really developed a style for announcers, introducing flyers, plugging sponsors, anticipating the Field Judge and setting the tempo for a sport kite competition. He had an understanding for making a competition flow and was appreciated by many a head judge and event coordinator. The Hawq never missed a beat when changes were thrown his way and he always had a great rapport with the flyers. His laughter and wry sense of humor on the mike has been missed the past few years. 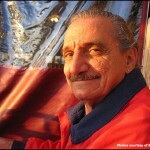 Ralph, due to health reasons chose to stay away from kiting the past few years. He was very proud and never liked letting a friend down. The last time in Wildwood he apologized for missing a few years. Ralph never let anyone down. He was one of the most loyal people I have ever known. 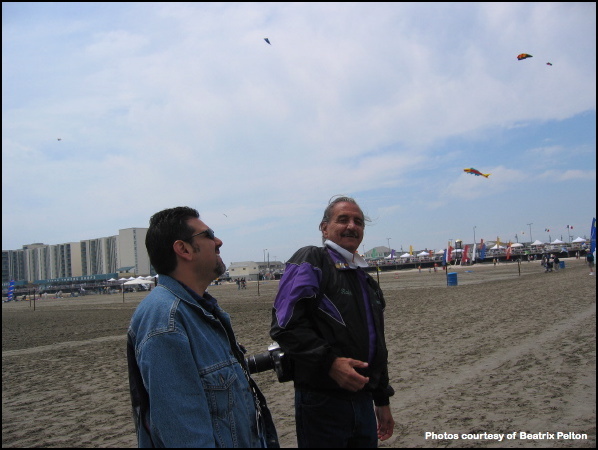 Ralph and I reminisced about the good times traveling up and down the east coast to kite competitions. He was always ready to laugh. 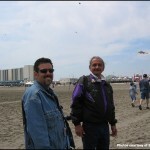 I remember traveling to the UP Sports Kite Competition in Los Angeles with him, my brother and family. We all went to Disneyland together. My nephews to this day remember the Hawq and his comical, colorful remarks. He made a mark on you when you met him, and he remembered things about you that he would relate to you at a later date. He was uncanny that way. I am living in Costa Rica these days, and sorry that Ralph never made it here for a visit. We would talk about life here and my latest craze with photography. Ralph was quite a good photographer. Last week when his health took a turn for the worse, my wife Kathy and I noticed an unusual amount of hawks crying on the mountain around us. They have continued now for more than a week. Eerie, but somehow I think Ralph made the trip here after all. That would be Ralph, loyal and always good for a last laugh. This entry was posted in 2008, Issue 59 (Mar/Apr), KL Archive and tagged people.